Storage Top Drawers: 20.5" x 13" x 5.5". Bottom Drawers: 12.5" x 13" x 6.75". Adjustable Interior Shelves: 15.5" x 14.5". 2 Glass Doors. Removable Wine Storage. 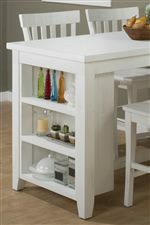 The Madaket collection is a great option if you are looking for Casual furniture in the area.